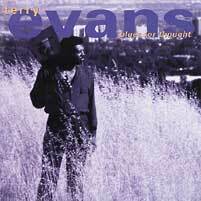 Ex-Ry Cooder alum and studio veteran vocalist Terry Evans, immediately following his split with partner Bobby King and just prior to his series of great recordings on Audioquest, tracked this 1993 solo effort. Blues For Thought for the Pointblank/Virgin label subsequently met with great praise for both sonics and performance. Producer (and guitarist for this date) Ry Cooder creates a fine R&B tinged collection featureing the strong, soulful voice of Evans with support from the likes of drummer Jim Keltner, keyboardist Spooner Oldham, and R&B guitar legent Robert Ward.